The Law Commission on Monday filed a report before the Apex Court recommending debarring of candidates charged with commission of heinous crimes punishable with imprisonment of a term exceeding 5 years, from contesting elections. The Law Commission report assumes significance in view of the fact that out of 4,835 MPs and MLA's, as many as 1,448 are facing criminal charges- 641 for heinous crimes. Of 543 Lok Sabha MPs, 162 have pending criminal cases while 75 face serious charges. A Bench of the Apex Court headed by Justice R. M. Lodha had sought to know whether those charged with offences punishable by an imprisonment of five years or more should not be allowed to fight any polls. The recommendation of the Law Commission comes a week before the nomination process for the Lok Sabha election commences. "In extraordinary circumstances, where the trial court is not being able to conclude the trial within one year of framing charges, it would submit a report to the chief justice of the concerned HC indicating the special reasons for the delay. The chief justice may issue appropriate directions to the concerned court for extension of time for conclusion of trial," said Justice Lodha and Justice Joseph after additional solicitor general Paras Kuad agreed with the court's view on behalf of the Centre. The bench took framing of charge as the starting point for fixing one-year time period for completion of trial keeping in mind the Law Commission's recommendation that filing of charge-sheet "is not an appropriate stage to introduce electoral disqualifications". The commission said there was not sufficient application of judicial mind to the charges leveled by the investigating agency at the time of filing of charge-sheet. However, it recommended that framing of charges involved application of judicial mind to the charges and evidence. The commission in its recommendation to the Union government on February 24 proposed disqualification of MPs and MLAs if a trial court framed charges against them in cases of corruption or heinous offences. "The stage of framing of charges is based on adequate levels of judicial scrutiny, and disqualification at the stage of charging, if accompanied by substantial attendant legal safeguards to prevent misuse, has significant potential in curbing the spread of criminalization of politics," it recommended. The commission also proposed to the government to introduce a provision in the RP Act making filing of false affidavits about personal antecedents along with nomination papers an offence punishable by imprisonment for not less than two years. This means, if an elected candidate gets convicted for filing false affidavits, then he would lose his seat in the House and get debarred from contesting elections for six years. Law Commission Chairman Justice A. P. Shah refused to comment on the eve of the hearing. "The report will be made public tomorrow," he said. On December 17, 2013 the NGO ‘Public Interest Foundation had filed a petition in the Supreme Court contending that persons charged with heinous offences be debarred from contesting in the electoral polls. The SC had sought the Commission's response in the matter. After the Apex Court's July 10 verdict, an MP or MLA is disqualified and debarred from contesting elections only after he/she is convicted in a case -as in the case of RJD chief Lalu Prasad Yadav and Congress MP Rasheed Masood. At present, even if a candidate is arrested, he/she cannot be disqualified from contesting polls. A person must be a convict to be held back from contesting polls. "The Commission in its report has supported the PIL and wants debarment of those charged with offences which can attract more than five years in jail, but it has provided certain safeguards. They are not for an automatic disqualification, but in favour of setting up an independent adjudicating body which shall receive pleas seeking debarment and take a decision," a government source said. "There are also certain precautions against foisting of false cases by rivals on the eve of election. And it has also set up a time frame to submit these charges before the election process sets in," the source further added. The Election Commission has already given approval for the recommendations mentioned in the report and informed the Apex Court that it was in favour of disqualifying those charged with commission of heinous crimes. In the last session of the Parliament, the Law Ministry, too, had prepared a draft law on similar lines but failed to table it. 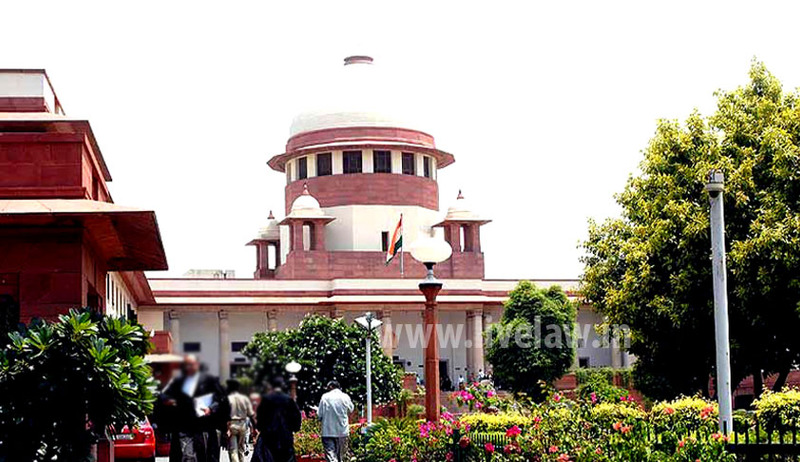 In its interim order on a PIL by NGO "Public Interest Foundation", the bench said, "Where sitting MPs and MLAs are facing corruption cases and other serious offences (which involve a punishment of more than two years on conviction), the trial will be completed expeditiously on a day-to-day basis and in no instance later than one year from the date of framing of charges." This means, those who get elected in the coming general elections and have pending criminal and corruption cases against them, the verdict will be out before May next year. If found guilty and sentenced to more than two years imprisonment, they will immediately lose their membership. If the recommendations of the Law Commission are accepted by the Apex Court, it certainly will be a giant step forward in weeding out criminals from our political arena.